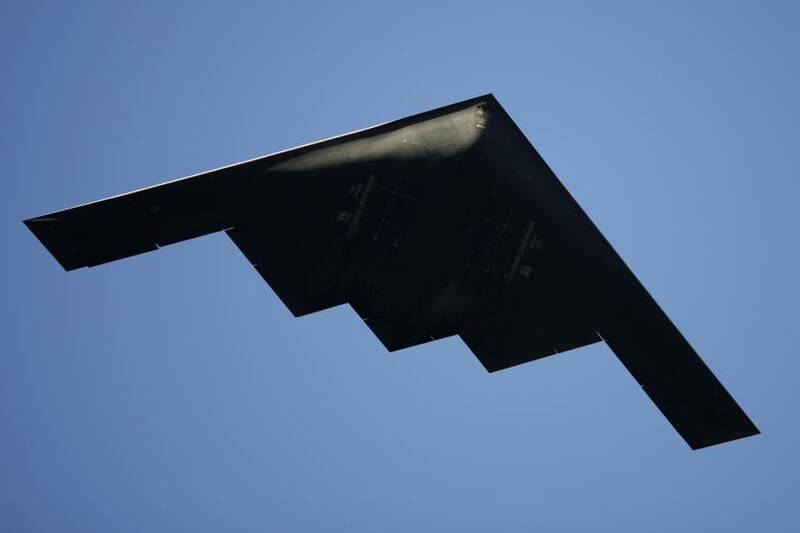 A US B-2 Spirit Stealth Bomber (above). The B-2 is a long-range strike asset of the US Air Force. It can penetrate deep into enemy territiry and drop a conventional or nuclear payload without being detected. 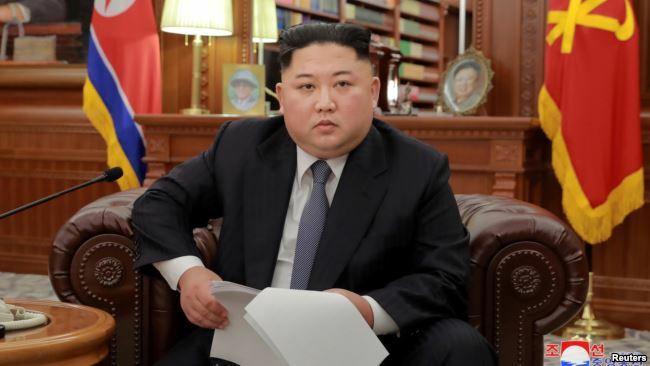 North Korea manifests a stubbornness reflective of the disposition of Kim Jong-un, the Chairman of the Workers Party of Korea and the Supreme Leader of Democratic People Republic of North Korea. Lately, the country has made itself practically unavailable for direct diplomatic contact. Soon enough, it will be discovered, whether Pyongyang is so determined to build a nuclear arsenal, whether the current issue is tied so much, in Kim’s view, to North Korea’s dignity, that efforts to reach an agreement will be impeded. During Kim’s years in power, the government in Pyongyang has sought to create the appearance of being dangerous and savage. Creating an image is one thing. That effort can be ignored by others. However, while engaged in that process, one must keep firmly in mind that there are some boundaries beyond which one cannot return. 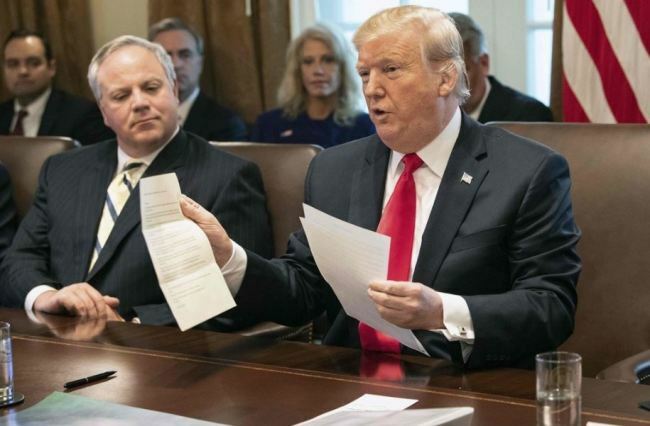 As reported in the US newsmedia, US President Donald Trump stated that there would be forceful retaliation from the US if aggressive action is taken by North Korea against the US territory of Guam and US allies. Trump said the US military is “locked and loaded” and that Kim “will regret it fast” if action is taken. Trump has reassured the residents on the US territory of Guam, by saying “I feel that they will be very safe,” despite Kim’s threats to launch intercontinental ballistic missiles (ICBMs) toward the island. 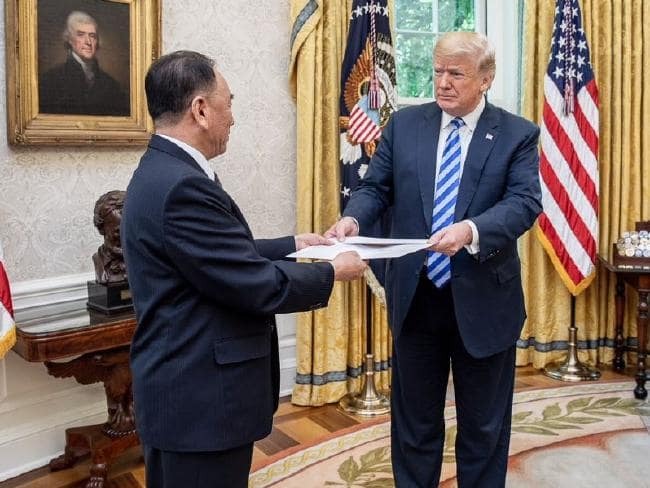 Trump revealed that in a telephone call with a key player in the Northeast Asia, Chinese Premier Xi Jinping, that both leaders reiterated “their mutual commitment to the “denuclearization of the Korean Peninsula.” Nothing aggressive that North Korea is doing will be rewarded. Rather, there will only be the harshest of consequences. Kim must understand that Trump has not made a half hearted vow to do something. Make no mistake, Trump has the requisite will to act. The Trump administration has tried to be reasonable with North Korea. Recall that Trump, with a positive mindset, tried to reach out to Kim. He tried to see the world through King Jong-un’s lens. 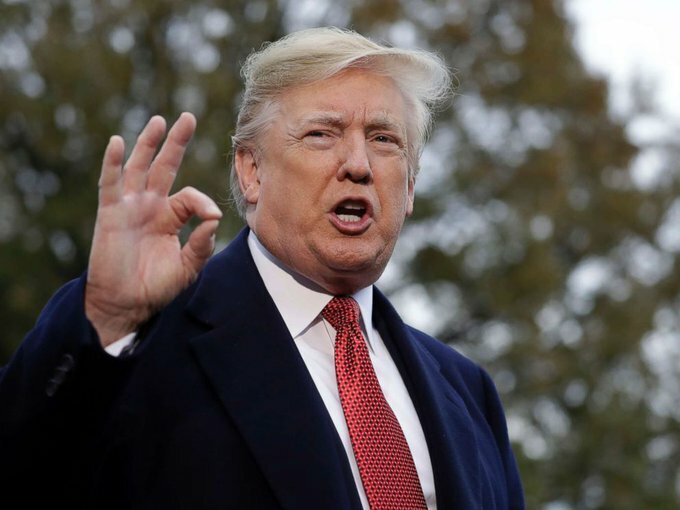 Trump publicly expressed the view that it must have been difficult for Kim to take on so much responsibility at a relatively early age following his father, Kim Jong-Il. Trump even suggested that he would be willing to meet with Kim to communicate head to head, brain to brain. A resolution might have been crafted from Kim’s elaborations on what troubles him. Trump engaged in a sincere search for common ground. However, Kim did not budge in Trump’s direction. Rather, Trump was with Japanese Prime Minister Shinzō Abe in Florida on February 11, 2017 when the North Korea fired an intermediate range missile into the Sea of Japan. It seemed that efforts with North Korea were becoming a struggle against the inevitable. Trump urged China, North Korea’s economic lifeline, to assist in reducing tensions by talking frankly with Pyongyang. The effort was certainly reasonable as the administration’s contact with China has resulted in a degree of solidarity from it. China voted to place sanctions against North Korea under UN Security Council Resolution 2371. However, initially, at least, prompted assistance from China did not appear to do too much to stop Kim. Normally, It would be expected that the US and any potential or true adversaries would be at a sparring stage at this early point of the administration, feeling each other out. There was really no need for big moves, big challenges. In Northeast Asia, the Trump administration has rruly acted in a measured way. Trump was sowing seeds for solid growth in relations with Japan, South Korea, and China. The administration has also moved toward creating improved relations with Russia, which resides in that neighborhood, too! Yet, that particular tact has been famously admonished by Trump’s critics. US Secretary of State Rex Tillerson was doing an admirable job as chief diplomat, consulting bilaterally and multilaterally with allies and friends on urgent and important issues. US Secretary of Defense James Mattis invested himself in Asia the same way, discussing ways to improve and giving assurances on security arrangements. Questions on issues of multilateral concern that can be handled in the UN Security Council were fielded well by Nikki Haley. Their dialogues with foreign leaders and counterparts have been complex. Despite what one might learn about inter-departmental interaction in a US Government 101 undergraduate course, there was no indication, no hint of parochialism, associated with the actions of either department secretary or staff. There was no concern that one was poaching on the others reserve. Personal preferences, especially for Mattis who has no love for the North Korean regime, were put aside. Back channels to Pyongyang were even set up. They were used to secure the release of Otto Wambier, a student from the University of Virginia from a North Korean prison. Kim Jong-un stands on terrain high enough to be able to survey the liabilities and salutary prospects of war with the US. Rather than looking out upon vistas of possibilities, Kim is staring into a cold, dark abyss. He has allowed his ego to run away from him. He may soon find himself moving from hubris to humiliation. The North Korean people live in a country with conditions that no one anywhere would envy. They know the world through Kim’s lies, his deceptions. They hear his substitute truth designed to seduce. Those North Koreans, who actually believe his gossamer fantasies, have been left in the cradle intellectually. Often North Koreans are ordered to put their love for their Great Leader and their country on display for the world see and the security apparatus to judge. North Korean generals may recognize, albeit only through intuition and intimation, that their country is considerably vulnerable to the US. However, the Intelligence in Pyongyang, undoubtedly politicized, is probably murky about what the US can really do and Trump’s will to fight. That, along with their survival instinct, triggered daily due to close, fear-laden, contact with Kim, enables them to remain fully committed to the lie that North Korea has the military wherewithal to take on the a military superpower. Kim only has power in the world that the world has allowed him. It could be said that he is the invention of those who have been dilatory. 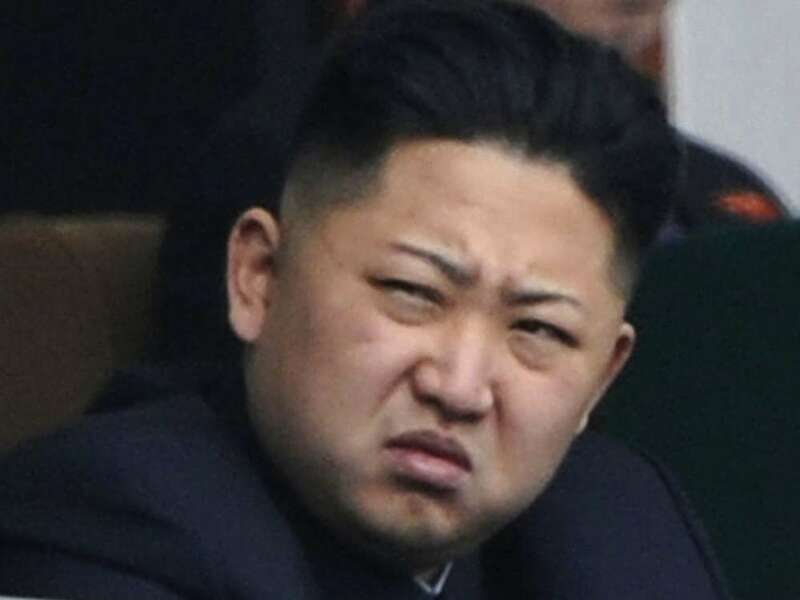 Right now, it seems Kim believes that he can delay negotiating with international community until after he develops a nuclear capable rocket force able reach the US. That possible ploy could result in a dark tragedy for him and the North Korean people. Trump has made it very clear that he does not want North Korea to develop a nuclear force. Deterring that force once it has been developed is not in Trump’s plans. Misused power is always built upon lies. Indeed, tyrants redefine what exists into projections of their egos. There are no noble thoughts. They become wrapped up in themselves. One wrapped up in oneself becomes a small package. Kim has a history of mocking what is good, and finding pleasure in what is evil. As time goes on, Kim becomes more tragic as a figure. Kim may not wait for his reign to come to an ignominious end at the hands of Trump without some demonstration of his power. He may seek to make some grand stand. Tyrannical figures have often self-destructed when their power appeared to be slipping from their hands. The manner in which North Korea is presented in the US newsmedia has greatly impacted the US public’s impression of it. North Korea is presented in the US news media as odd and mystifying. Well-known representations of North Korea’s mystification include: Kim, who is shown as a curious little man with a curious choice of hair style; North Korea’s testing of short and long range rockets and nuclear warheads; and, videos of massive parades of uniformed military and weapons systems and citizens’ patriotic demonstrations in Pyongyang. Kim rules with an iron fist. Within the tyrannical government, maintaining secrecy, obscurity, are key elements of its mechanism of control over the populace. The North Korean regime is essentially a cult of darkness. Kim and his subordinate leaders in Pyongyang relish rule by violence killing, death. Death is exalted, the nuclear program, rocket program are means being developed to support its ends. Mystification is also what Hollywood uses to help generate fear and horror, to make films spooky. In our culture, timidity easily takes the form of affected joviality, hoping to diffuse tension by amiability, a hug or a slap on the back, and then let the dialogue begin. That may work with victims of evil, but not with evil regimes as the one in North Korea. The fact that Kim has test launched ICBMs that can reach the Continental US, and has expressed the intention of aiming the next test launch of missiles dangerously close to the US territory of Guam is not the primary concern of Trump’s critics. Rather, they accuse Trump of ratcheting up the situation with his “fire and fury” rhetoric. Those critics were many of the same who harped on the fact that Europeans, who Trump declined to join on the Paris Agreement on Climate Change and who he called out for being long-time beneficiaries of US largesse and for failing to meet their obligations for NATO defense spending, are reviled by what they view as Trump’s gaucheness. Trump’s touch with common humanity in no way detracts from his dignity. Further, despite what may be dubbed his outbursts on Twitter, he is aware that anger blinds and chokes. He knows what he is doing. As for the strong, confident nature of his approach to North Korea, Trump ostensibly feels that if he is going to be damned by critics on that or other issues, he might as well be damned for doing what he feels is right and being who he really is. There is said to be a temper of the soul that wants to live in illusion. In the opinion of most of Trump’s critics, lots of things should be done, omitted, changed, and corrected by him. There are endless calls for a diplomatic solution to the North Korean issue from many of Trump supporters, but mostly from his critics. That demand in itself is misleading. All viable diplomatic angles are being examined by Trump and his foreign and national security policy advisers. Tillerson can handle negotiations with any country, any leader, that is now a proven fact. Yet, an option may be to send a doyen from the foreign policy field, knowledgeable of the situation on the Korean Peninsula, to develop conditions for talks. China can be offered great incentives to use its influence with North Korea more efficaciously, to halt tests and make a deal. Beijing certainly has an interest in preserving its strategic buffer to the US. Still, in the end, it all depends on Kim. If Trump is given cause to use overwhelming US military power to resolve the North Korean problem, his critics will likely relentlessly remark that he created desolation and called it peace. Anyone who claims a position of moral authority who thinks it possible to diffuse tension between good and evil by playing the minstrel, only signals his own insecurity. The prospect of war on the Korean Peninsula may be so horrifying, so unnerving to some, that consciously or unconsciously, they become disposed to underestimating Kim’s capacity for evil. In such situations, even some experienced and reliable analysts might say things that cannot be. They begin to reject possibilities without hearing others. They will rely upon on self-serving explanations and surmisals. One must process in the mind what one sees to surmount what one sees. Previous administrations derived scant tranquility through negotiation with North Korea. They submitted to the fantasy that Kim wanted peace. Kim prospered by establishing for him a pattern of success that helped build his self-confidence in dealing with US. Scant To ignore evil as a real problem is to leave oneself defenseless. Even if the US made a deal with Kim, his craving for a nuclear capable rocket force could soon reassert itself. Leaders often sign agreements and do nothing afterward. The safety of the people is the supreme responsibility of a national leader. The US and its allies did not ignite this episode by threatening North Korea. North Korea has boldly posed a significant threat to US territory and allies with ICBMS, intermediate range rockets, and nuclear warheads It is unfortunate that different philosophies, Kim’s being a defective one, kept him from responding to the initial overture made by Trump toward his regime. 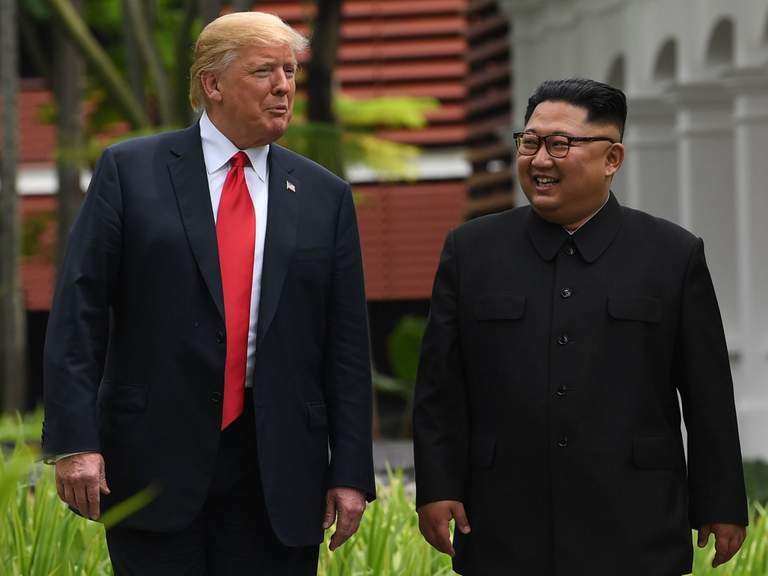 Kim’s heart may very well be hardened by a belief that the greatest danger to North Korea,comes from the US, However, Trump will not moan over any of that. There was nothing Delphic about Trump’s statement about responding to aggression from North Korea. He is well aware of the importance of clarity of expression in diplomatic communication. He says what he means. He wants as much information as possible, no matter how feeble in order to be read in on everything. In days ahead, the world may see the best of human accomplishments in diplomacy or the worst of human foibles. Victory by the US and its allies through military action is not in doubt. However, victory by nature can be superb and insulting, given its costs.